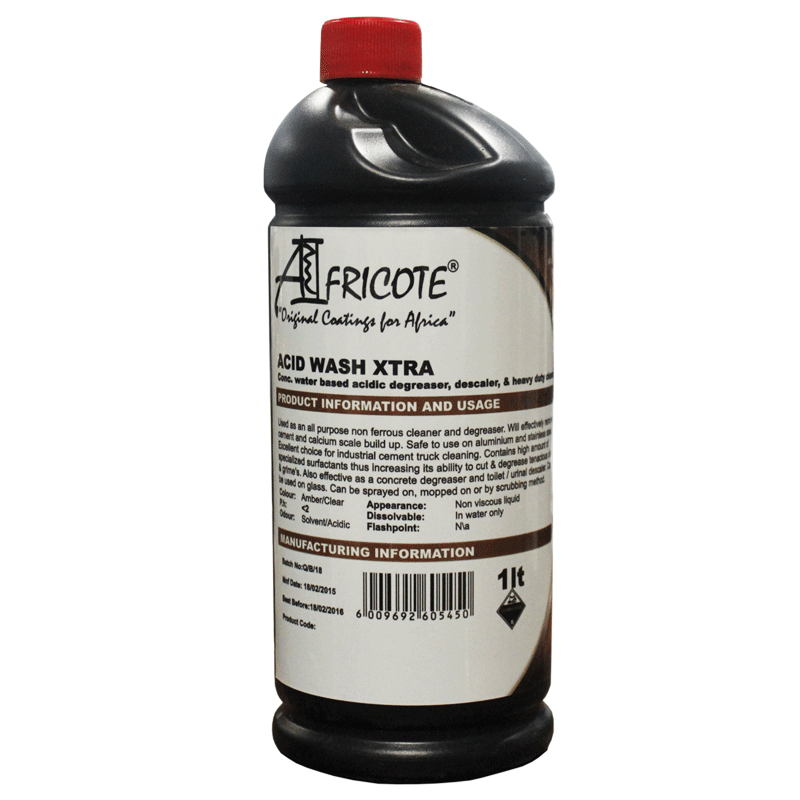 Africote’s Acid Wash XTRA is a concentrated water based acidic degreaser, descaler and general heavy duty cleaner. Used as an all purpose nonferrous cleaner and degreaser. It will effectively remove cement and calcium scale build up. It is safe to use on aluminium and stainless steel. Excellent choice for industrial cement truck cleaning. Contains high amount of specialized surfactants thus increasing its ability to cut and degrease.